The New York Cocoa Exchange Renovation uses a limited number of materials and techniques and focuses on one intensely programmed volume surrounded by open space. 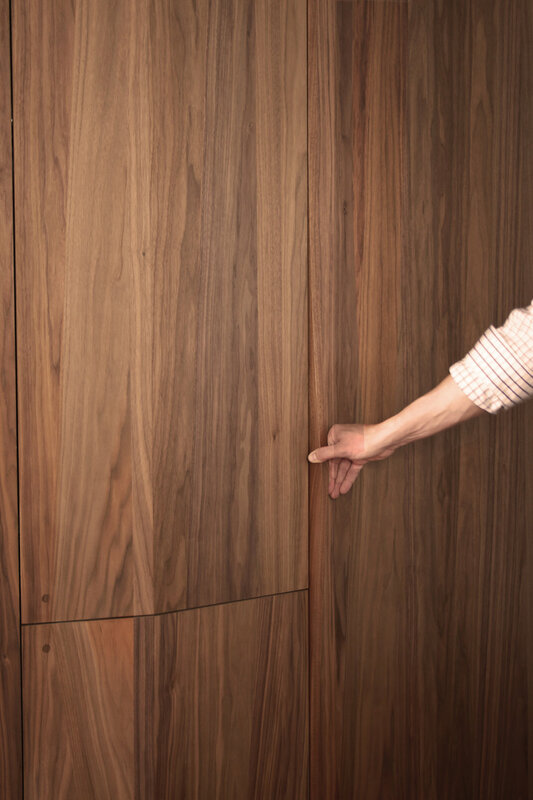 The volume is clad in a unique walnut sketch-face veneer that is pierced by two smaller material-less shelving volumes. Hidden behind the walnut are cabinets, bathrooms, closets, and an entrance to the master suite. The renovation also included an entirely new kitchen with custom Corian millwork and a freestanding island capped with a leathery brushed granite counter top.